Choosing a tattoo can be tricky, but if you're as obsessed with your pet as we are, the decision is practically made for you! After all, what else brings a smile to your face as consistently as your best pal? With these cool tattoos your pet can always be by your side... or on your side... or, never mind. 1. Is there anything cuter than this hipster dog hanging out next to her likeness? 2. 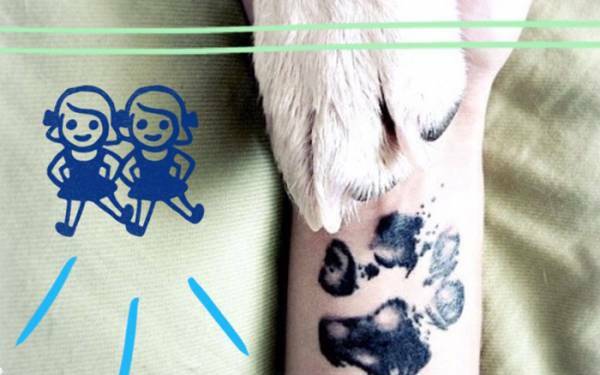 Or why not get your pup's paw print as a tattoo? 3. Here's a subtle ode to this owner's furry friend. 4. This finger cattoo (cat+tattoo) is a way cooler version of the too trendy finger mustache. 5. As long as your cat's hanging out on your arm, ya might as well give him something to play with! 6. This tattoo proves that your cats are the king and queen of your...feet? 7. Celebrate your macaw's multi-chromatic style with this colorful tat! 8. This is some righteous guinea pig ink, yo. 9. It's not just his padded feet that will make this little dude stick with you. 10. 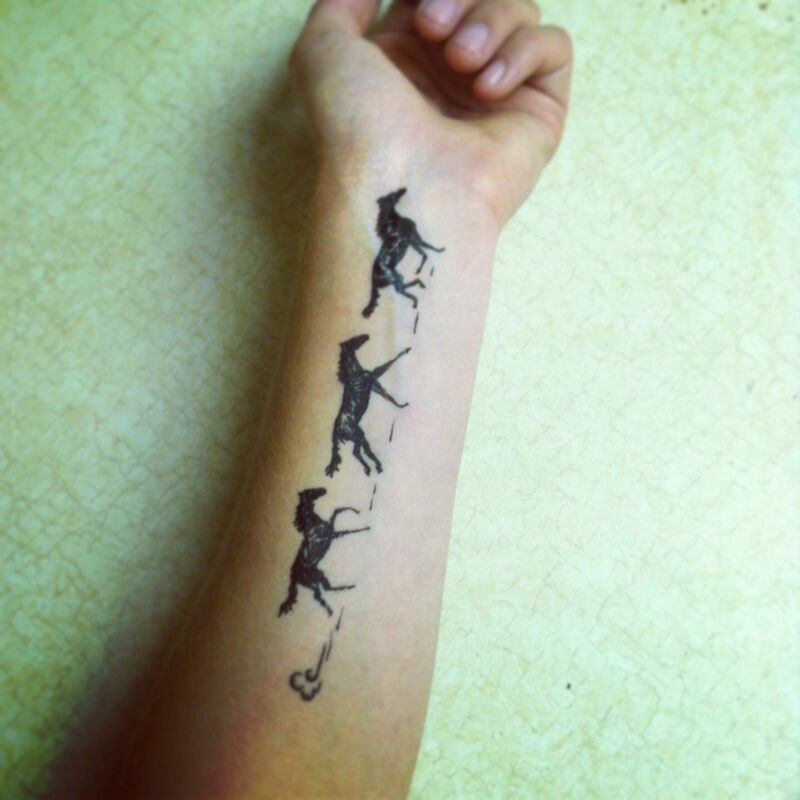 And finally, wild horses couldn't drag us away from this timeless tat. Pain is temporary, but your animal friends are forever. Reciprocate their eternal devotion to you with some wicked ink!